Home Opinion Is work-life balance necessary? 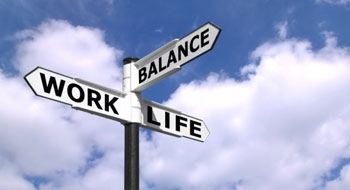 The concept of work-life balance stems from our quest to be efficient and effective in our day- to- day pursuits. That is, a quest to ensure that the activities that we partake in are the most constructive towards our goals. Achieving this becomes more complicated- and more interesting- with an increased understanding of how the actions we take might affect how we perform in other areas of our lives. Following this realization, many of us have chosen to divide our conscious time into “work” and “non-work” related activities. The problem is that we assume that work- related activities tire us and activities that are not related to work rejuvenate us. If we dig deeper, however, we may realize that there are work-related activities that re-energize us and non-work related activities that can exhaust us. Therefore, I don’t think that we should strive for this definition of work-life balance. I think that we should divide our time between activities that are high effort and low effort, but are in some way measurably conductive towards our goals. In doing this, we might realize that there are low-effort work-related activities, such as networking or reading articles that are still meaningful. We might also realize that some of the activities that we choose to partake in that are low-effort and non-work related such as scrolling through Twitter or watching TV re-runs aren’t as meaningful to us. We shouldn’t automatically assume that if we’re doing something that isn’t work-related we’re resting our mind. For example, playing too many video games or using our phone too much can be over-stimulating an can cause us to feel overwhelmed, according to a study from the Neuroscience Institute at Princeton University. We owe it to ourselves to properly decipher what causes us to feel balanced. I concede that it might be counter-intuitive to do things that are work-related to achieve this balance. However, if we can find activities that don’t require as much effort but still represent some sort of progress, by partaking in them we might even be avoiding burnout.